Ontario(web team): The Prime Minister flew into here from Germany where he laid emphasis on attracting technology and investments for 'Make-in-India' programme. With his focus on the programme, Modi is expected to invite Canada to partner in this endeavour by sharing technology and pumping in investments. Marking the first standalone bilateral visit in 42 years, Prime Minister Narendra Modi arrived in Canada where the focus will be on setting a "trajectory" in ties through cooperation in energy, including civil nuclear, and attracting trade and technology for India's development. A long wait ends - PM @narendramodi is in Canada. 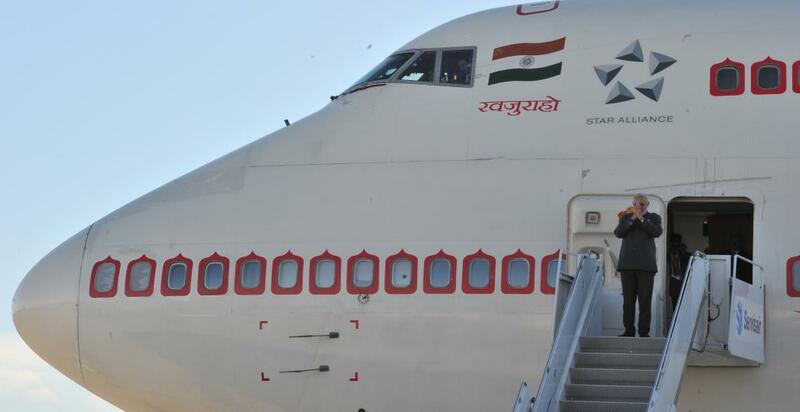 1st Indian PM on a stand alone bilateral visit in 42 years. The Prime Minister flew into here from Germany where he laid emphasis on attracting technology and investments for 'Make-in-India' programme. With his focus on the programme, Modi is expected to invite Canada to partner in this endeavour by sharing technology and pumping in investments. The Prime Minister will also be meeting officials of the Pension Fund of Canada which has the corpus of 200 million dollars and discuss how to ease the investment opportunities for it. He will also address the Indian community in Toronto, which is billed to be on the lines of the famous Madison Square address in New York last year. When Prime Minister Narendra Modi goes to pay tribute to the victims of the 1985 Air India–Kanishka bombing memorial in Toronto on April 16, Canadian Prime Minister Stephen Harper will in all likelihood, accompany him. If this happens it will send out a strong signal to people of all communities that India and Canada have one view when it comes to terrorism of any and all nature. A significant aspect of the three-day visit will be Modi's meeting with top officials of Canada's Pension Fund with focus on inviting them to India. Modi will hold talks with his counterpart Stephen Harper to discuss how the relationship could be taken forward. He will also address Canadian business leaders. Modi's focus will be on several areas like energy, which is "a major aspect", besides agriculture, skill development and education. Prime Minister Narendra Modi received a warm welcome from the Indian community outside the Fairmont Château Laurier in Ottawa. The people waving the Indian tricolour reached out to shake hands with the visiting Prime Minister, with chants of ‘Modi, Modi’. Prime Minister Modi later shook hands with some people.